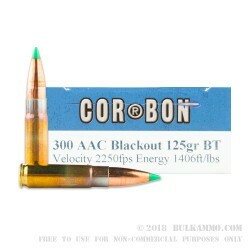 This 300 AAC Blackout cartridge by Corbon features a 125 grain Nosler ballistic tip projectile. 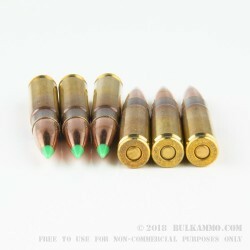 This bullet’s streamlined polymer tip serves a double function: to resist deformation in the magazine, and to initiate devastating expansion upon impact. 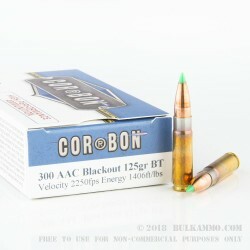 This bullet’s fully tapered jacket works together with its lead alloy core to bring about controlled expansion and optimal weight retention at practically any velocity upon impact, and its heavily jacketed base prevents deformation while firing as well as a larder diameter mushroom. 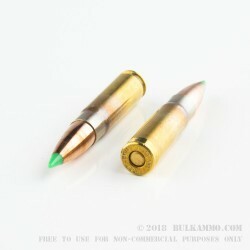 This bullet’s boat tail design gives it superior accuracy and improves its ballistic coefficient, and also gives it some resistance against cross winds. 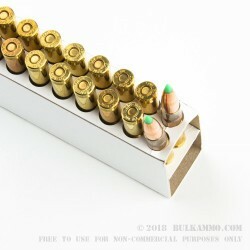 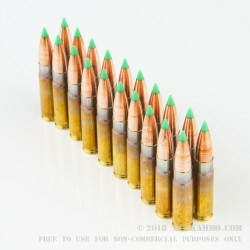 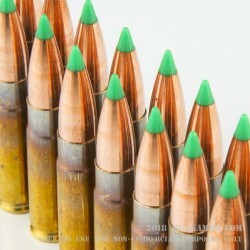 All in all, its bullet’s design will shine through and through however you decide to utilize this round. 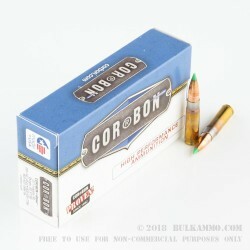 This cartridge also offers a non-corrosive Boxer primed brass casing, suitable for handloading. 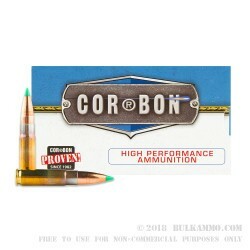 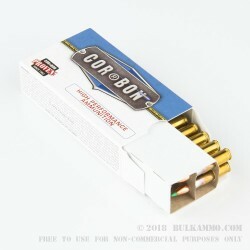 Corbon adheres to a very strict set of standards while they manufacture ammunition, which along with their strict quality control program ensures ammunition that they can confidently back with their 100 percent satisfaction guarantee.